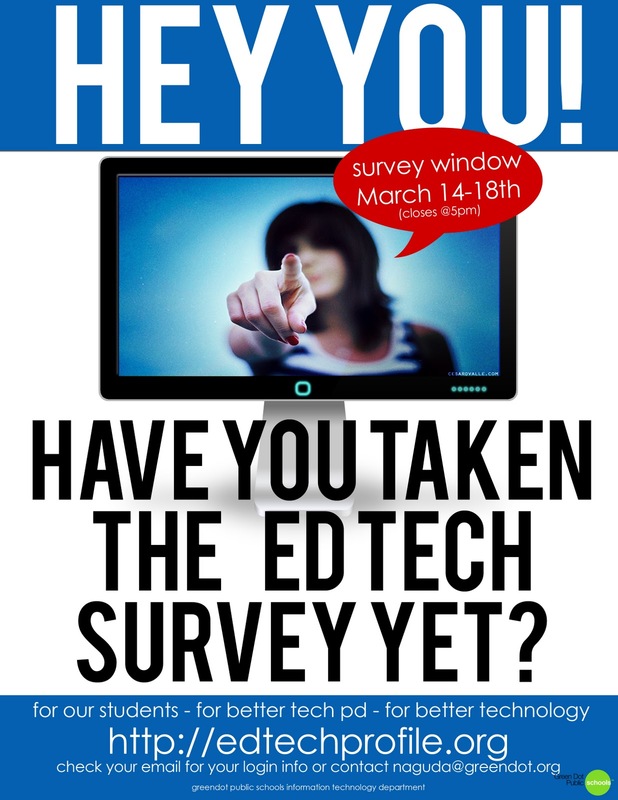 Monday is the day we start taking the EDTECH Profile Surveys. 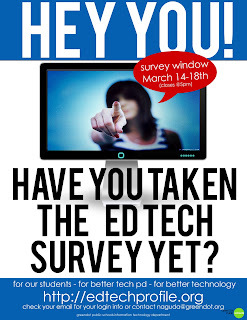 (http://edtechprofile.org/) Check your email for your login information and get the survey done! Don't Forget to Check your JUNK EMAIL folder!!!! Click below for a quick tutorial on how to access the survey.